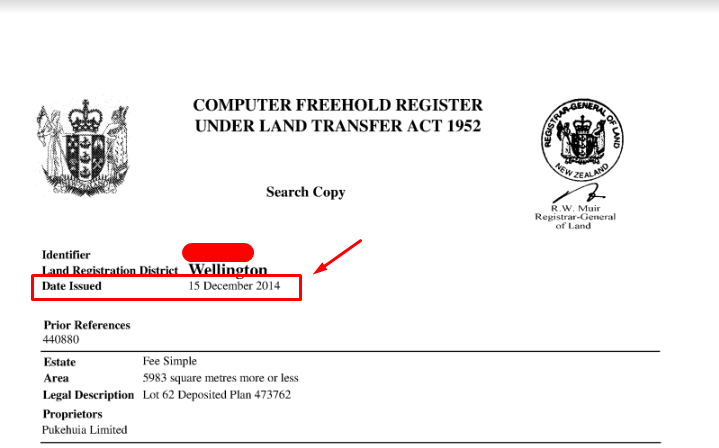 We often get asked where to look for the date on a certificate of title. Now this may seem like an easy task, just look for a date on the title and that’s it! But there are two dates on the title! the “Date Issued” and the “Search Copy Date”? Which of these dates should you be looking at? The “Date Issued” which you see on the first page near the top of the page is the date the title was created (i.e. from the last subdivision of the property). This is useful to know particularly if you are tracing back historical records and would like to know when a property was created and who the past legal owners were (a historic title can help identify previous legal owners of a property). The Date Issued is the date that a certificate of title was created (i.e. the date of the last subdivision). You may already know that Councils require a certificate of title that is less than three months old. The date that you should be looking for is the “Search Copy Date” which can be found on the lower right part of the page. Have a good look! Its in a very small print in the footer! so you will need this date (the Search Copy Date) to be within 3 months of the current date. If your title is older than this, you can order a more recent copy online here.